How One Hospital Entices Doctors To Work In Rural America : Shots - Health News Instead of offering big salaries and other perks, the CEO of tiny Ashland Health Clinic, in southwest Kansas, lures physicians with "a job that matters." In addition to meeting a real need on a daily basis in Ashland, doctors also get eight weeks off to do missionary work overseas. Dr. Dan Shuman (right), who was recruited to the Ashland Health Clinic as part of its mission-focused medicine program, consults with a patient about smoking cessation. Recruiting doctors to live and work in rural America is a chronic problem. Most health centers try to attract workers with big salaries and expensive homes. Shots previously reported that one center in Maine was trying to lure medical students to the countryside for their final two years with the hope that they stick around. The Ashland Health Clinic, a tiny hospital in southwest Kansas, is trying a different tack — a reverse-recruitment model. It's called mission-focused medicine, and it's based on serving problems most commonly found in third-world countries. Ashland, population 855, sits about a five-hour drive south of Kansas City. It's one of the last outposts on the Kansas open range, where buffalo still really roam along the rolling, dusty plains. There's no gas station, unless you count the pump at the farmer's co-op that uses dial-up for credit card approval. The nearest Starbucks is 160 miles away. So when Benjamin Anderson interviewed for the clinic's CEO job in 2009, he says the board chairman was exceedingly blunt. Anderson says the chairman told him, "Ben, our facilities are 55 years old. Our finances are challenged. Our morale is low. Turnover is up. We've been without an administrator for six months. We've been without a doctor for seven or eight months. We really need this facility in this community. And if we don't have this facility, we'll lose our school. And if we don't have our hospital and our school, this will become a ghost town very quickly." Benjamin Anderson (right), Ashland Health Clinic's CEO, poses with Tony Kargbo (left), who was just hired as the director of nursing for the clinic's long-term care facility. That pitch clicked for Anderson. He gave up his physician recruiter job in Dallas and moved with his wife out here to become Ashland's new CEO. "I've always had to have a job that matters," he says. "I have to have a position that I know it's not just a paycheck." Anderson is now well known on Ashland's Main Street. But he knew he needed doctors for the hospital to succeed, and he knew he had to offer something different than the thousands of small towns he was competing with. So he came up with a novel plan. He offers potential candidates eight weeks off to do missionary work overseas. Because he's found that a doctor who is willing to sleep on a cot in the Amazon or treat earthquake victims in Haiti is ready to serve in rural Kansas. He calls it mission-focused medicine. "When you recruit a mission-focused provider, they want to see the ghettos," he says. "They want to know that there's no Spanish-speaking provider in more than a one-hour drive. They want to see houses that are falling down, widows that are uncared for. They want to know that there's need and that by them coming there, they would fill a disparity that would otherwise not be filled. So we reversed it." It worked. Last July, Dr. Dan Shuman and his family moved here from the Austin, Texas, area. 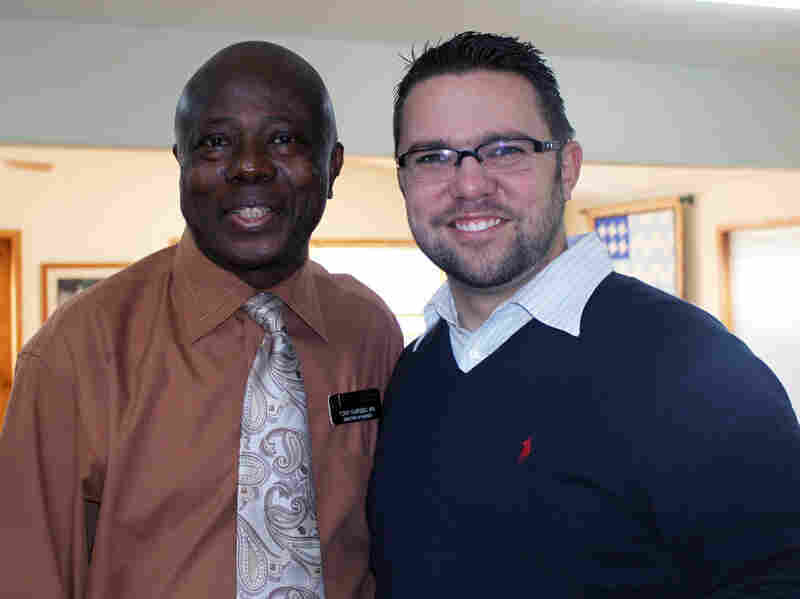 The difference between here and all the other needy areas was his ability to continue his missionary work in Haiti and Mexico during his eight weeks off. But Shuman says Ashland's own challenges were equally attractive. "When you're primary focus is sort of a mission-based focus, when you get into things in order to try to relieve suffering or work toward eliminating disparities," Shuman says, "then you want to know about those things. It's appealing to see opportunities." 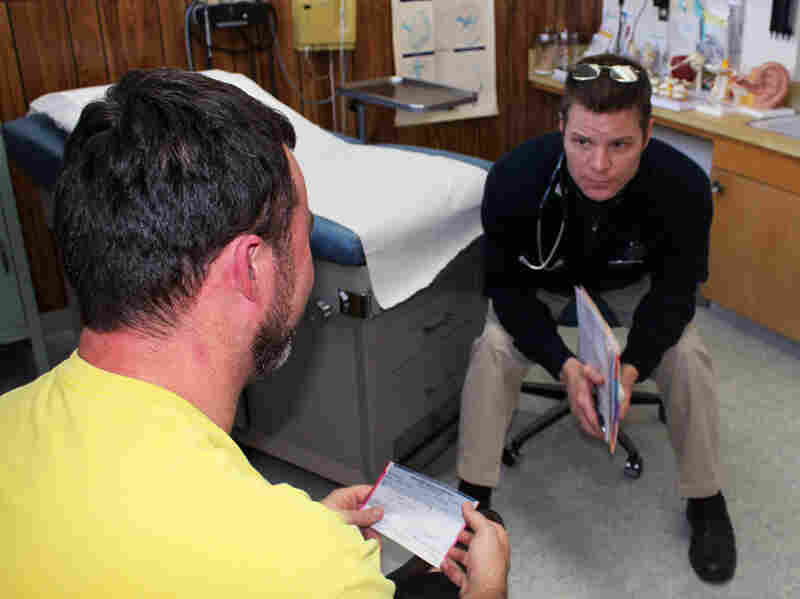 Studies suggest that finding primary care providers in rural areas is at crisis levels. More medical students are specializing, so general practitioners are very hard to find. And those who can deal with the lower pay and isolation in rural areas? Even harder. So Anderson raised the bar by shooting for a higher cause. At every staff meeting, he's part cheerleader, part chaplain. Indeed, things are looking up for Ashland. In addition to Shuman, Anderson has recruited a nursing director. And that doc who slept on the cot in the Amazon was recently in Ashland for interviews.